WindowPad describes itself as a "multi-monitor window-moving tool". Uses a virtual "pad" to arrange windows. Use the Numpad or your own custom layout to move and resize a window to fill the appropriate section of the screen. What is neat is that this is actually an AutoHotkey script. So to run you can either run the .ahk (if you have AutoHotkey installed) or a compiled .exe file. This is a great example of what you can do with AutoHotkey beyond simple text replacement. I usually stuff the .exe in Dropbox. I have a directory setup in Dropbox where I store all my useful scripts and applications. Then I create a shortcut and drop that in my Startup folder. So either at home or work I have access to the script! WindowPad is a simple utility - by using a hotkey and your keyboard numpad you can easily manipulate windows. Either one one screen, or if you have multiple monitors, between screens. All without leaving the comfort of your keyboard. No need to stop typing, grab the mouse, find the title bar, drag. Drag again because you lost focus. Double click to maximize, etc. One thing I often do is pop open a Firefox and Selenium IDE window. 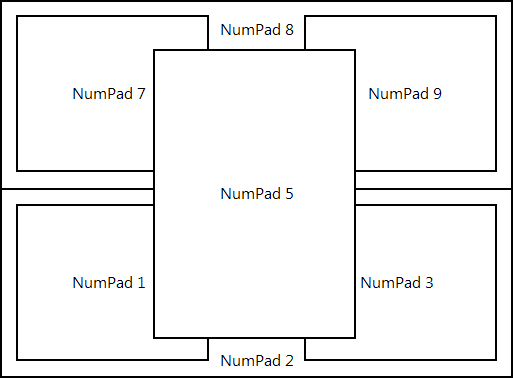 To get them tiled easily I can simply do a WIN + Numpad4 and WIN + Numpad6. I know there are Windows shortcuts to tile things but I find WndowsPad a bit more intuitive. Win + Numpad Enter is my favorite. Clicking that will quickly whip a window between multiple monitors. Great when you want to focus on something but it's on your secondary monitor. And if you are feeling adventurous you can add your own shortcuts using the included .ahk script! Want to learn more about tools like this? Come see me present at cf.Objective! I will be talking about automation, AutoHotkey and other tools than can make your life as a developer easier.